The Charles River Valley Boys got together at Harvard College to play old-timey music. When banjoist Bob Siggins learned Scruggs-style picking, the band added bluegrass to its repertoire. John Cooke joined the CRVB when the original guitar player indefinitely extended a European sojourn. 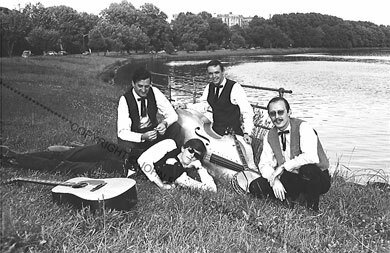 After the group disbanded in 1968, Joe Val, the great mandolinist and high-lonesome singer, founded his own group, the New England Bluegrass Boys. Joe and his Boys appeared several times on "Prairie Home Companion" in its early years.